Cottage Delight Clotted Cream is a rich and creamy clotted cream that is perfect for enjoying with a traditional British afternoon tea. 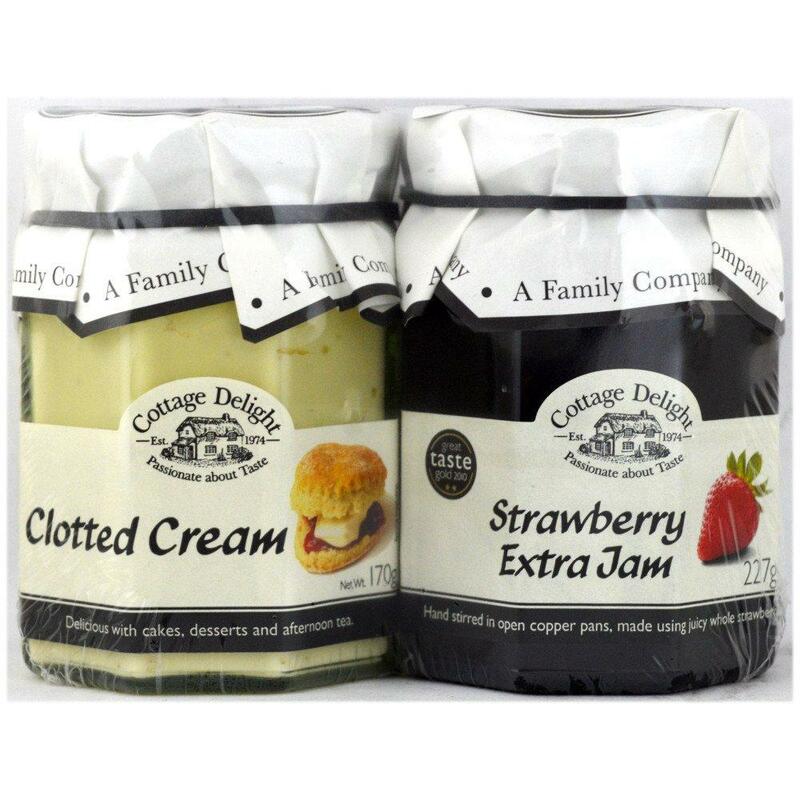 Cottage Delight’s delicious Strawberry Jam is carefully hand poured into each jar ensuring the strawberries remain whole. It’s perfect on the breakfast table or with fresh scones. Our Strawberry Extra Jam is a unique recipe made with only the finest ingredients and perfected in our Staffordshire kitchen, in small batches, by chefs with over 40 years experience. All of our jams are poured, packed and labelled by hand.